Why piece together a patchwork of incompatible systems, local vendors and agencies or put up with inconsistent execution, outdated manual processes and no visibility on ROI? 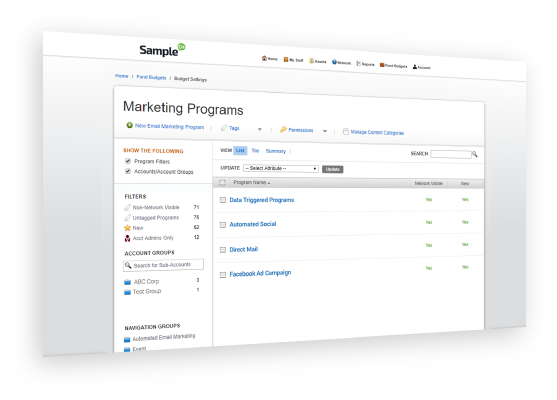 SproutLoud delivers a comprehensive SaaS marketing platform that covers every aspect of local marketing, from start to finish, and gives Brands and their Partners easy-to-use solutions and measurable results. 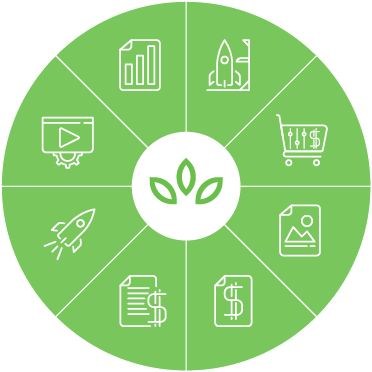 SproutLoud combines leading-edge marketing automation technology with advanced business intelligence, an integrated network of world-class Marketing Service Integrations, dedicated local marketing concierge support and exceptional service. 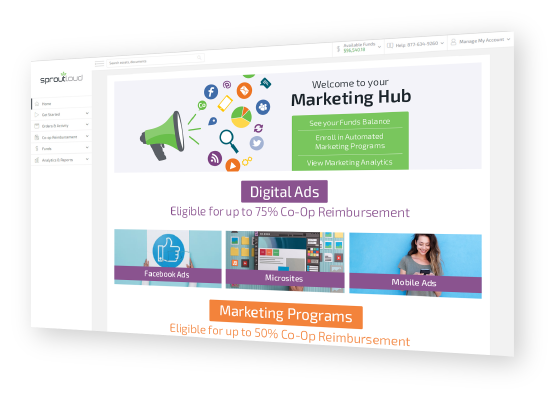 Designed to improve speed to market, Launchpad makes it easy for Brands to use our SaaS marketing platform to prepare assets and campaigns, manage funding strategies and engage more Partners to invest in local marketing. 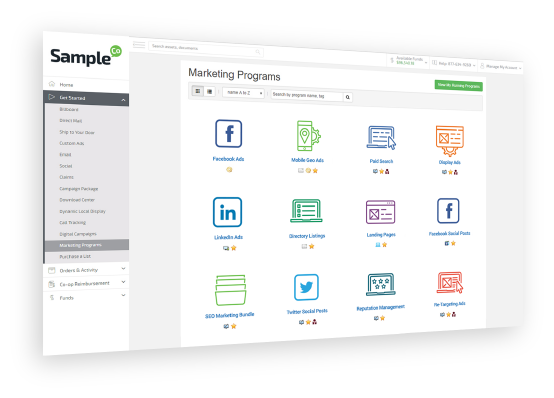 SproutLoud’s Partner Portal is tailor-made for Partners who don’t have time for marketing, because they’re focusing on sales. 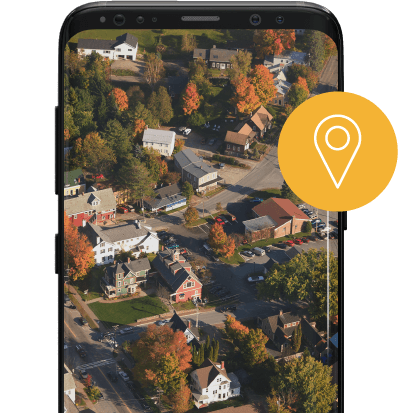 It’s the one-stop shop that makes it fast and simple to select, subscribe and execute local marketing, so Partners can spend more time with your customers. Brand compliance doesn’t need to be complicated or frustrating. 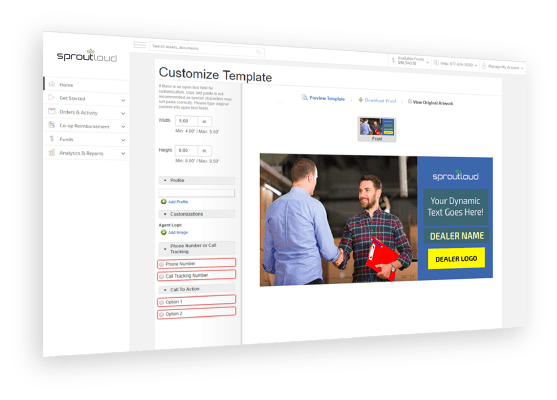 SproutLoud’s Studio transforms Brand assets into dynamic templates embedded with brand-compliant customization options, for flawless results in record time. 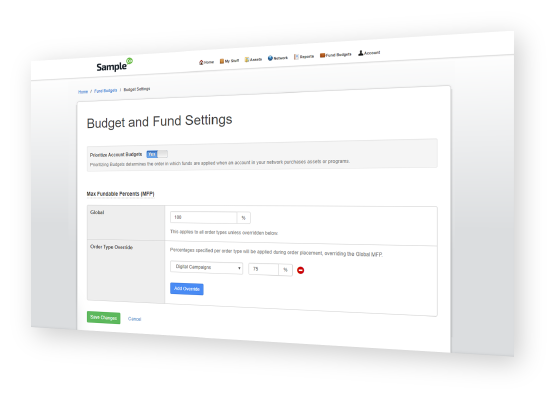 Intelligent Spend Management gives Brands more visibility on the accountability and performance of Co-Op Advertising, Business Growth Funds, MDF and other funding options. Across their Partner networks, Brands can implement SproutLoud’s intuitive co-pay system, or our cost-saving claims management system, or a combination of the two with advanced change management features to mitigate any risk or disruption. High-quality local marketing is designed to generate more leads, traffic and sales. SproutLoud’s Automated Campaign Execution handles the administrative and execution details for your Partners, so they can stay focused on what matters most: customers and sales. No one wants to waste time or money on local ads that don’t work. 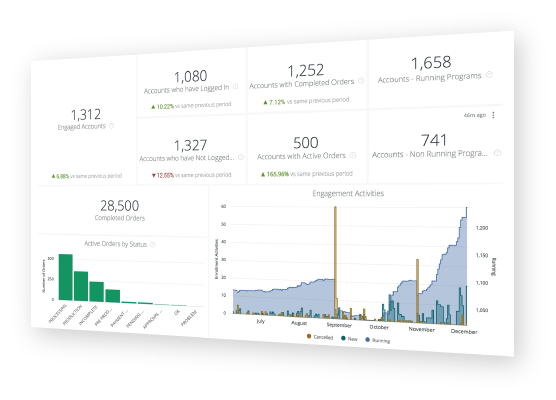 SproutLoud Analytics gives Brands and Partners the insight and performance metrics they need to make data-driven decisions and quickly respond to changing market conditions.